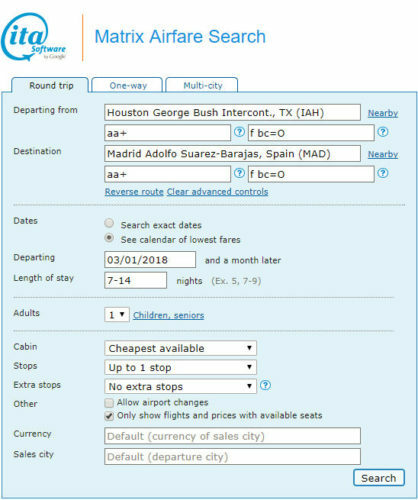 Valid for travel from early-February 2018 – mid-March 2018. A 7 day minimum stay is required. Must purchase at least 28 days in advance of departure. 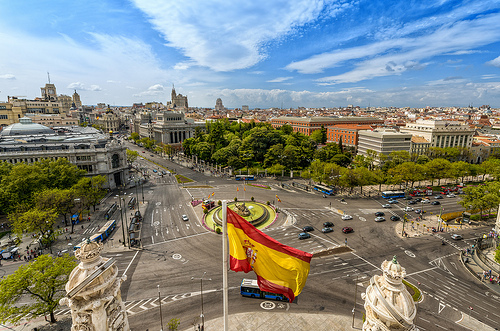 One Response to "American – $413: Houston / Denver – Madrid, Spain. 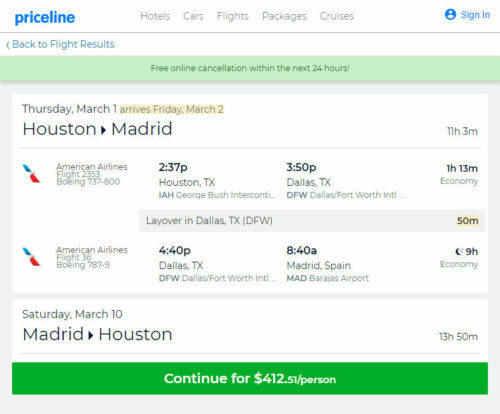 Roundtrip, including all Taxes"
These AA fares to Europe keeps appearing in Google Flights but not working when you click through to the AA site.